Cindy L. Munro, RN, ANP-BC, PhD, FAAN, FAANP, FAAAS is Dean and Professor of the University of Miami School of Nursing and Health Studies. 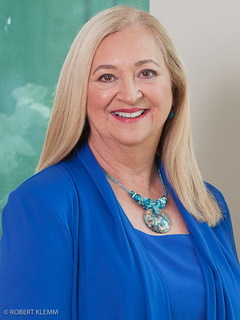 Dr. Munro came to the University of Miami from the University of South Florida College of Nursing, where she was associate dean of research and innovation from 2011 through August of 2017. She is an accomplished health care researcher and leader in the field of nursing, as well as most recent recipient of the Leadership in Research Award from the Southern Nursing Research Society (2017). Dr. Munro’s science focuses on the relationship between oral health and the prevention of systemic disease. Her work has been supported by more than $18 million in funding as principal or co-investigator, with her current study of oral care in mechanically ventilated adults funded continuously by the National Institute of Nursing Research since 2001. In 2016, she received nearly $2 million in additional funding from the NINR to conduct research on prevention of delirium in critically ill adults. She holds three patents, including an international patent for a vaccine to prevent streptococcal endocarditis. Her work has changed clinical practice and reduced health care costs by addressing hospital-acquired infections. Dr. Munro is a member of the National Academy of Inventors and holds fellowship status in the American Academy of Nursing, the American Academy of Nurse Practitioners, and American Association for the Advancement of Science. She is a founding Ambassador of the Friends of the National Institute of Nursing Research and in 2016 was inducted into the Sigma Theta Tau International Nursing Research Hall of Fame. Before joining USF in 2011, Dr. Munro was a member of the VCU School of Nursing faculty, where she was named Nursing Alumni Endowed Professor in 2011. She also held affiliate professor appointments in VCU’s School of Medicine. She is a licensed registered nurse in Florida and Virginia and is a board-certified adult nurse practitioner, as well as co-editor in chief of the American Journal of Critical Care. She has over 150 professional publications, and in 2016 was recognized for her writing with the Apex Award for Publication Excellence in Editorial and Advocacy Writing, and the American Society of Healthcare Publication Editors’ Best Commentary Silver Award. Dr. Munro received her Ph.D. in Nursing and Microbiology and Immunology from Virginia Commonwealth University, where she was a faculty member for almost 20 years and held affiliate appointments with the VCU School of Medicine in the Department of Emergency Medicine and the Department of Microbiology and Immunology. She holds a Post Master’s Adult Nurse Practitioner degree, also from VCU. She received her Bachelor of Science degree in Nursing from Millersville University of Pennsylvania and a Master of Science in Medical Surgical Nursing from the University of Delaware.